A nature and natural history photographer for more the 29 years, Jim Steinberg owns and operates the Portfolio Collection, Ltd. a stock photography studio and gallery located in Steamboat Springs, Colorado. He is also the chief executive officer for Portfolio Publications, Inc., a small publishing company specializing in the production and sale of nature calendars, note cards, and fine art prints. As a contract photographer for Animals/Animals and Photo Researchers in New York, he photographs wild places, environmental issues national parks, and monuments. His in-house stock library contains over 95,000 images in both 35mm and 4X5 format. 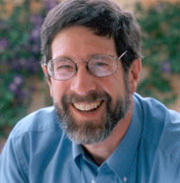 Steinberg received a Bachelor of Science degree in English from the University of Wisconsin and a Master of Arts and a Doctor of Arts in English from the University of Oregon. 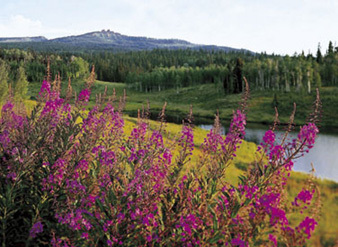 He has organized and managed the "National Geographic Photography Workshop" and taught "Wildflowers in the Rockies" workshops for The Center for Nature Photography for nine years. He has also taught photography at Colorado Mountain College in Steamboat Springs. Jim currently teaches photography workshops for the Friends of Arizona Highways. Magazine credits include National Geographic, Life, Newsweek, Sierra Club, U.S. News and World Report, National Parks, Audubon, Nature's Best and Nature Conservancy. Commercial clients include Ramada, United Way, Children's Television Workshop WNET, American Museum of Natural History, The Wall Street Journal and numerous others. His books include The White Rabbit and other Delights, A Natural History of the Black Hills, and Colorado Less Traveled, scheduled for release in April 05. His work and publications have won numerous awards, including the Gold Medal from the Calendar Marketing Association for A Year in Colorado. He is a participating artist with the Friends of Art in Embassies at the U.S. State Department. He is a charter member of the North American Nature Photography Association. He is active in a variety of community service programs. Currently, Steinberg also serves as a Trustee for the Denver Center for the Performing Arts and The Lowell Whiteman School. Since 1975, he has lived and worked in Steamboat Springs, Colorado with his wife, Karolynn and their daughter, Sarah. Page delivered in 0.00183 seconds.